The start of a new year often means a change in your routine, whether you want to embark on a healthier lifestyle, or a new outlook on life, these changes can often be pretty huge! Something that is quite simple to shake up however and can give super results, is by reworking your beauty routine. Trying out some new products to find what works for your skin tone is an important step, for me I love discovering new products but there are some products and brands that I keep finding my way back to. I’ve recently finished my usual Darphin cleanser and toner combo, which has given me a perfect opportunity to discover some other favourites. I’ve admitted before that I’m actually really lazy when it comes to cleansing – I can never be bothered to tie back my hair and splash my face, apply cleanser, rinse etc, but I haven’t used face wipes in over a year. For me, cleansing water or Micellar water are the best products because you don’t need to get your face wet, you just apply the product to a cotton wool pad, and wipe away your makeup. My new routine includes the Rodial Dragon’s Blood Cleansing Water *. I have to admit, I chose it because of the crazy name but now I’m totally obsessed! It’s great for this time of year because it’s ultra gentle and also very hydrating. I find it particularly soothing which is ideal at the moment as I’ve been suffering from a runny nose, so that area is feeling a bit delicate! I would say this cleanser will be ideal for sensitive, stressed out skin – it contains Rose Water which makes it really refreshing to apply but also very effective at melting away your makeup. I’ve not been using the cleansing water long enough to comment on the long term results, but immediately I notice that my skin tone looks more even, and my skin looks brighter. I follow this with another lazy-girl product; a new favourite of mine – the La Roche-Posay Serozinc toning mist. I love applying this, you just mist over your face between cleansing and moisturising, and it has so many benefits! Recently launched in the UK, the mist contains just three ingredients; La Roche-Posay’s thermal spring water, zinc sulphate which has super healing powers, and sodium chloride. The ingredients work together to heal blemishes, and also control oil levels. I use it both morning and night, and it instantly refreshes my skin. It gives an immediate matte effect and also tightens pores which gives a more flawless makeup application. It’s currently 20% off on Escentual! 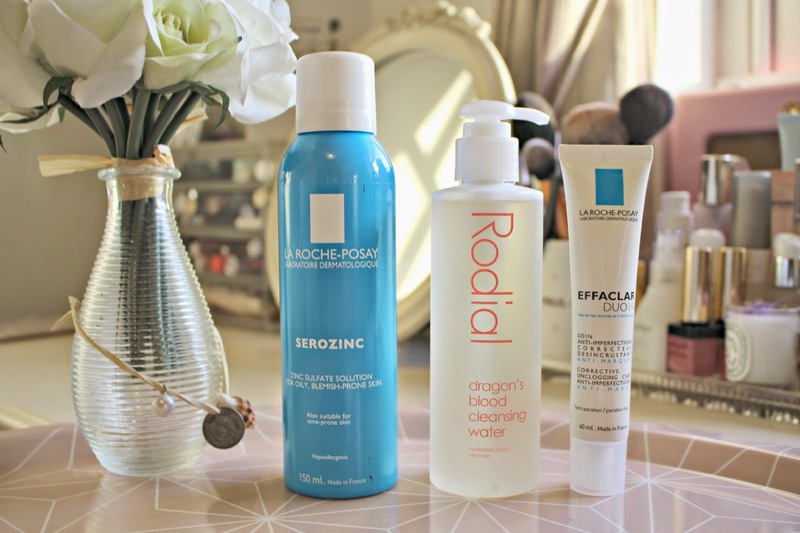 I only recently mentioned the La Roche-Posay Effaclar Duo [+] in my 2014 Beauty Favourites Post here so it’s no surprise that this little wonder-product is prominent in my reworked beauty regime! I’ve read raving reviews about it’s ability to heal blemish marks but fortunately I don’t suffer from that, but for me it has been the best moisturiser for prevention. My skin is mostly clear, but at certain times of the month I usually break out, but this has been far less noticeable since using Effaclar Duo. An ideal makeup base, I only use it in the mornings currently as it controls shine and refines skin texture. It isn’t hugely hydrating, so I’d recommend using a moisturiser afterwards if you have dryer skin, but if like me you have combination skin, it gives a long lasting matte effect and also keeps the skin hydrated the whole day. So far, I’m loving the Effaclar Duo so much that I can’t imagine ever having to use another moisturiser! The best price I’ve found online is on Feel Unique here. Now I’m really really not suggesting that you should spend this much on a facial exfoliator – I first want to disclaim that the Darphin Age-Defying Dermabrasion is not cheap (it’s £52!) and there are lots of far cheaper alternatives out there! If you do have a larger budget for skincare though, then the Darphin polish is such a treat to use. With ultra fine beads, it’s perfect for sensitive skin (I mentioned my sore nose!) and for use on specific areas rather than on the whole face. I’ve been using recently around my nose, and also on my skin to help reduce the appearance of my pores. 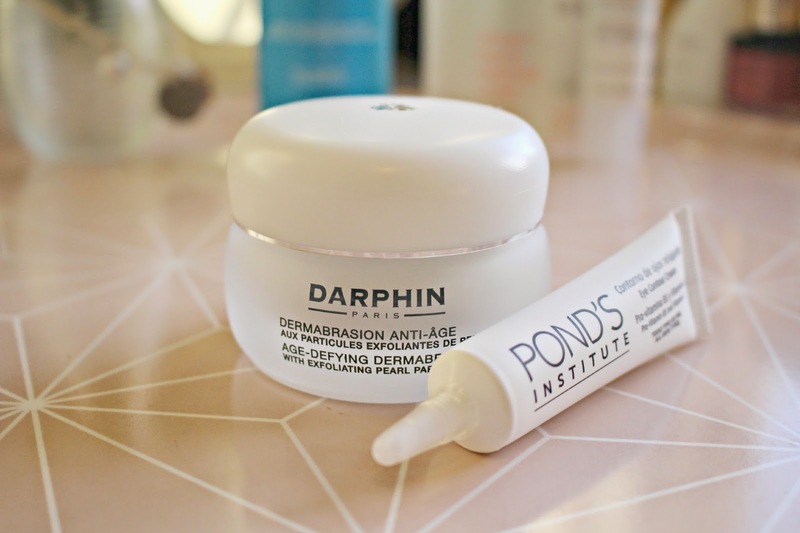 If you’ve been following my beauty posts over the past few months you’ll know how much I’ve fallen in love with Darphin products, I’m yet to find anything by them that I don’t love, BUT yes this is very expensive. A far cheaper exfoliator which is also lovely and gentle is the Bioderma Hydrbio Gentle Exfoliating cream. Finally, I’ve been applying an ultra hydrating eye cream around the eye contour area recently as the central heating has dried out this area and made it look wrinkly when I’m tired – not a good look! In need of nourishment, I’ve been using the Ponds Institute Eye Contour Cream * which contains vitamins and nutrients which nourish and calm the delicate skin around the eye area. It’s just £7.99 and you can buy it from Superdrug. Will you be reworking your Beauty regime this January? Let me know which products you’ll be using! 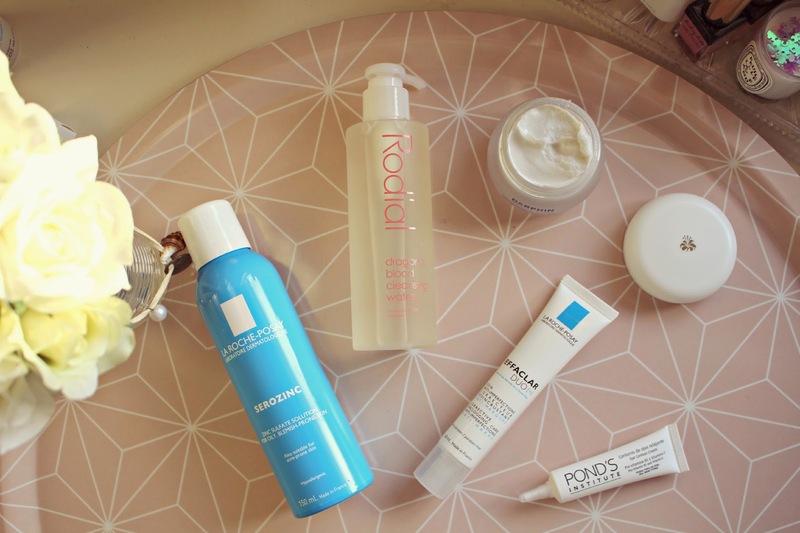 P.S – Don’t forget to enter my Giveaway to win a Beauty Hamper worth over £300! Enter here.